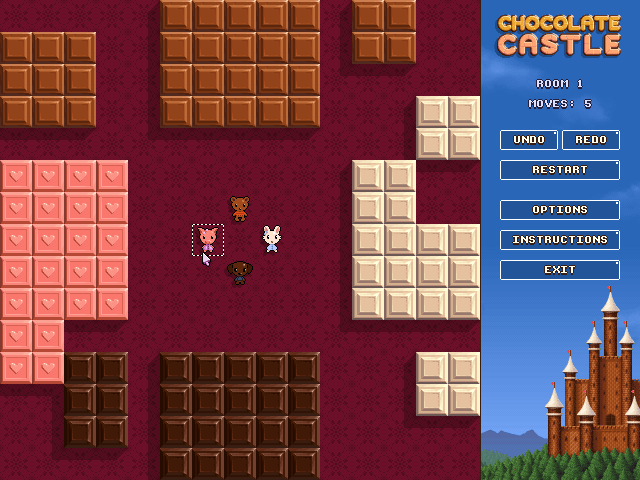 Chocolate Castle by Lexaloffle Games - Free PC and Mac Game Demo is available! 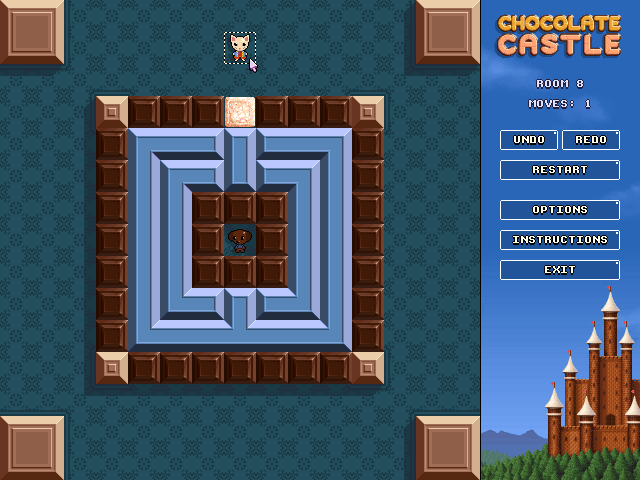 Chocolate Castle is a tricky sliding block puzzle game. The object of each puzzle is to arrange blocks of chocolate into large connected regions so that they can then be consumed by a team of hungry animals. 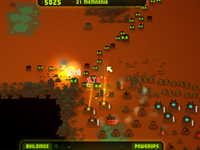 Munch your way through 120 rooms of hand-designed puzzles, or design your own with the built-in editor! 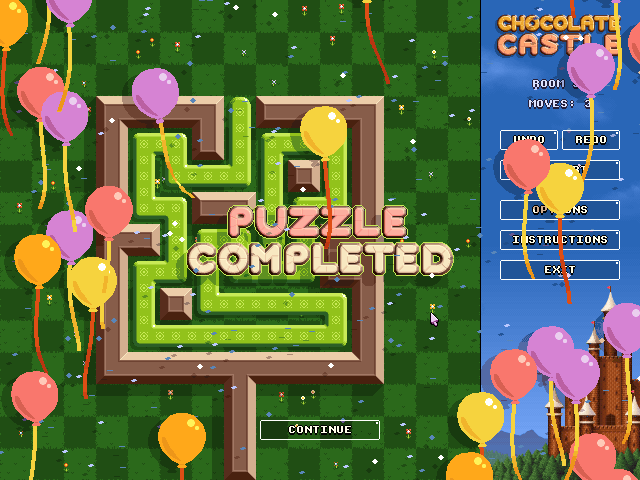 Download the full version of Chocolate Castle to get 120 hand-designed rooms and a bunch of new puzzle elements. 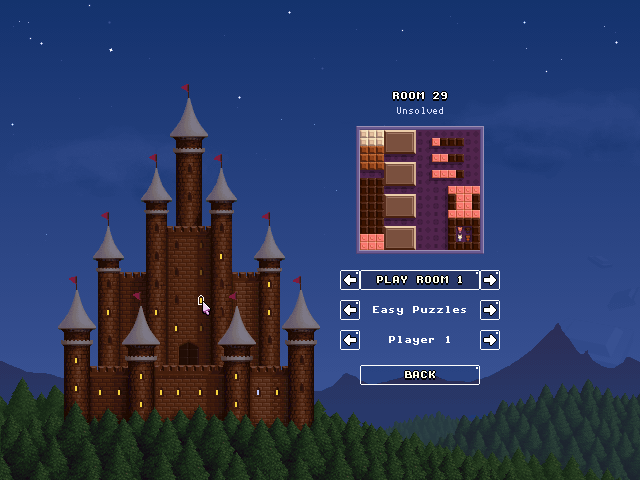 The full version also has a room editor so that you can create and play your own puzzles and share them with others.